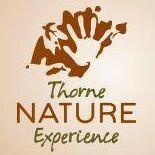 Thorne Nature Experience Summer Camp - Get Involved. Make Friends. Enjoy Motherhood. Campers at Thorne Summer Camp spend the summer catching frogs, getting muddy, biking down mountain trails, and exploring Colorado’s wild places! Thorne offers fun, hands-on nature “Camp Experiences” for children ages 3-15 in BOULDER and Littleton. NEW this year, Thorne is offering “Camp Experiences” for 6-11 year olds in LOUISVILLE. Kids have a blast practicing survival skills, exploring forests and streams, learning local plants and animals, and catching tadpoles, crawfish, grasshoppers and more! Our experienced CPR and first-aid trained instructors help facilitate student learning and appreciation for the outdoors while keeping them safe. Students complete the program with a new-found respect and awe for nature, increased understanding of the environment, and a desire to get back outside. For more than 60 years, Thorne Nature Experience has connected youth to nature through its hands-on Summer Camp. During the school year, Thorne offers In-School and Field Trip programs to nearly 10,000 Boulder and Denver Metro area students. Thorne’s NATURE FOR ALL Initiative helps to ensure all youth have access to nature through Thorne’s award winning programs! Use discount code MODMOMS2018 at checkout to receive 10% off your tuition.